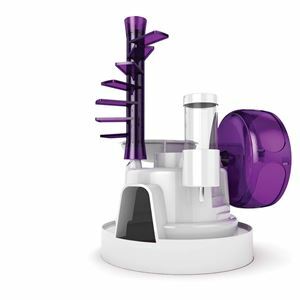 BioBubble Activity Pod White / Purple 15" x 10" x 13",The ultimate all-in-one modular playground perfect for Small Animals including: hamsters, gerbils, and mice. BioBubble Activity Pod White / Purple 15" x 10" x 13"
The ultimate all-in-one modular playground perfect for Small Animals including: hamsters, gerbils, and mice. It’s key features include: Soft Hammock for resting, Large Whisper Wheel for a whisper quiet spin, food cup and water bottle for easy maintenance, perfect hideouts, interchangeable accessories for endless fun.